CHAPTER I. - HALF LIGHT. CHAPTER III. - THE STORM OF CARTAGENA. CHAPTER IV. - THE BATTLE OF BÃCULA. CHAPTER V. - THE BATTLE OF ILIPA. CHAPTER VI. - THE SUBJUGATION OF SPAIN. CHAPTER VII. - THE TRUE OBJECTIVE. CHAPTER VIII. - A POLITICAL HITCH. CHAPTER X. - A VIOLATED PEACE. CHAPTER XII. - AFTER ZAMA. CHAPTER XIV. - THE LAST LAP. CHAPTER XVI. - ROME'S ZENITH. 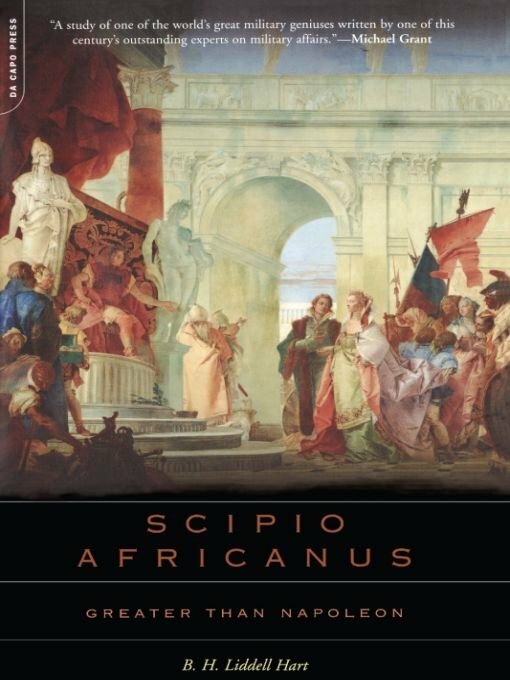 THE excuse for this book is that no recent biography of Scipio exists; the first and last in English appeared in 1817, and is the work of a country clergyman, who omits any study of Scipio as a soldier ! The reason for this book is that, apart from the romance of Scipio's personality and his political importance as the founder of Rome's world-dominion, his military work has a greater value to modern students of war than that of any other great captain of the past. A bold claim, and yet its truth will, I hope, be substantiated in the following pages. For the study of tactical methods the campaigns of Napoleon or of 1870, even of 1914-1918 perhaps, are as dead as those of the third century B.C. But the art of generalship does not age, and it is because Scipio's battles are richer in stratagems and rusesâmany still feasible to-dayâthan those of any other commander in history that they are an unfailing object-lesson to soldiers. Strategically Scipio is still more “ modern.” The present is a time of disillusionment, when we are realising that slaughter is not synonymous with victory, that the “ destruction of the enemy's main armed forces on the battlefield ” is at best but a means to the end, and not an end in itself, as the purblind apostles of Clausewitz had deceived themselvesâand the world, unhappily. In the future, even more than in the past, the need is to study and understand the interplay of the military, economic, and political forces, which are inseparable in strategy. 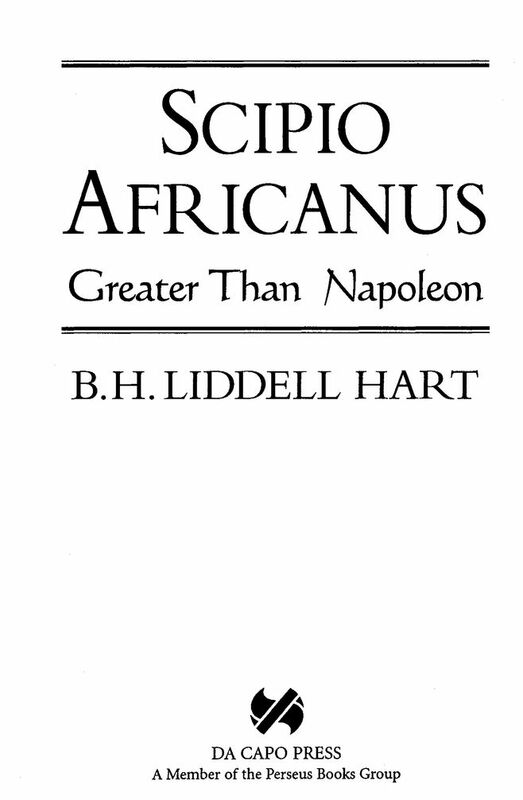 Because Scipio more than any other great captain understood and combined these forces in his strategy, despite the very “ modern ” handicap of being the servant of a republicânot, like Alexander, Frederick, Napoleon, a despot,âthe study of his life is peculiarly apposite to-day. Above all, because the moral objective was the aim of all his plans, whether political, strategical, or tactical. My grateful thanks are due to Sir Geoffrey Butler, K.B.E., M.P., Fellow of Corpus Christi College, Cambridge; to Mr W. E. Heitland, M.A., Fellow of St John's College, Cambridge ; and to Mr E. G. Hawke, M.A., Lecturer at Queen's College, London, for their kindness in reading the proofs and for helpful comments. efforts are crowned with permanent success builds a stepping-stone by which others may advance still farther, and so merges his own fame in that of his successors. The theory at least finds ample confirmation in the realm of action. A Napoleon and a Lee are enshrined in drama, in novel, and in memoir by the hundred. A Wellington and a Grant are almost forgotten by the writers of the nations they brought through peril intact and victorious. Even a Lincoln may only have been saved from comparative oblivion by the bullet of an assassin, a Nelson by death in the hour of victory, which relieved by emotion-awakening tragedy the disrepute of a successful end. It would seem likely that a century hence the name of Ludendorff will be emblazoned as the heroic figure of the European War, while that of Foch sinks into obscurity; there are signs already of this tendency to exalt the defeated. of Amundsen and Peary are fading. In sport, Dorando's Marathon is an enduring memory; but who among the general public could recall the name of Hayes, the actual victor, or, indeed, that of any subsequent Marathon winner. practically limited to the works of Polybius and Livy, with but a few grains from other, and admittedly less trustworthy, ancient authorities. 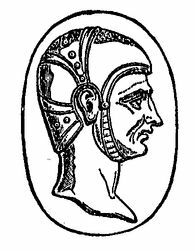 And of these two, Polybius, the earlier, is almost contemporary with events, the friend of Gaius LÃ¦lius, Scipio's constant subordinate, from whom he could get first-hand evidence and judgments. He had the family archives of the Scipios at his disposal for research, and he had been over the actual battlefields while many of the combatants were still alive. Thus he gained an almost unique base upon which to form his estimate. Further, being a Greek, his views are less suspect than those of Livy of being coloured by Roman patriotic bias, while modern historical criticism is unanimous in its tribute alike to his impartiality, his thoroughness of research, and the soundness of his critical insight. The verdict of Polybius is clear, and his facts still more so. 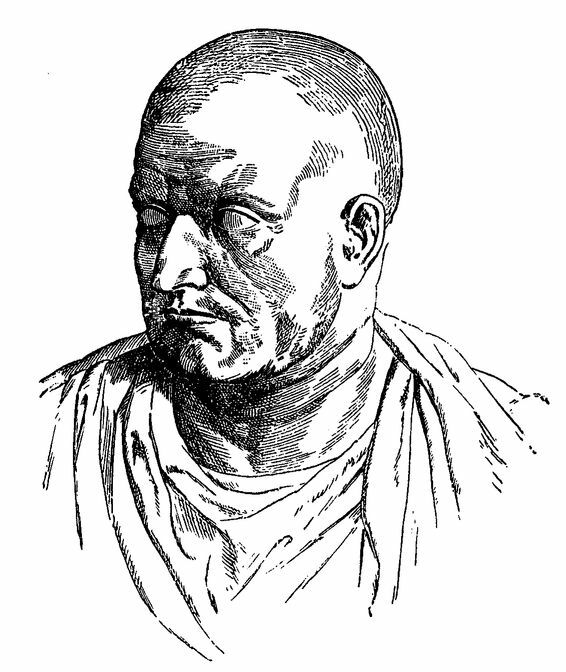 That there were divergent judgments of Scipio among the Romans of succeeding generations is true; but Polybius explains the reasons so convincingly, their truth borne out by the known facts of Scipio's strategical and tactical plans, that there is no vestige of excuse for modern writers to regard as due to luck what superstition led the ancients to ascribe to divine aid. years. He could not comprehend the low notes âthe narrowness and baseness to which men can descend,âand the exaltation of spirit born of his power over men prevented him from hearing the first warnings of that discord which was to impair the glorious symphony so nearly completed.